Have you noticed how many of the patriarchal world structures are now losing their power and that any old ways we used to use to live our lives from a rational, head space can now literally give us a headache and fill our days with struggle and fear? It really is time right now to truly embody the qualities of softness and flow into all aspects of our lives and flower essences are an easy, inexpensive and safe way to do this. In 2012 Summer I heard clear messages from the nature kingdom to begin sharing their openness and willingness of the elementals to work with us to shed our old skins and truly step into who we are here on this earth to be – in ways that come from the heart, that flow and are full of ease and joy. Just being in nature allows us to connect back to our true inner selves that know the answers to the way forward in life and so using flower essences as a modality is a safe yet profound way of reminding you of our own divine nature and how to find more joy, fulfilment, softness, trust and connection to your inner guidance in your life and healing practice. So to honour my alignment with the elemental kingdom (the trees, flowers, plants that grace our earth), here are 3 flower essences that can support you as you awaken to your Divine Feminine Self. If you’d like to hear a fuller version on this topic, please scroll down to the audio interview below where you can hear more details about the essences below and also information about Mariposa Lily (FES) and Pink Orchid (Flowers of the Orient). Star Tulip is a flower essence that can help you connect with your own inner guidance. Taking this essence helps you to find inner stillness and trust the guidance that you receive. Star Tulip is a perfect meditation essence and to take at any time when you need to reconnect inwards and be your own guide. Hibiscus essence was made in a sacred garden dedicated to Quan Yin in Thailand and is a cooling, calming and clearing pink flower. Hibiscus can be used by any woman who feels over stimulated by life and would benefit from a smoother flow of qi through her energy network, supported any life transitions and bringing ease and flow into her days. Pear Blossom Essence offers a clearing and calming vibration of stillness and love to your energy system. This essence can be taken during challenging life times and/or at any time when quietness, stillness is needed. Taking Pear Blossom helps you to be more aware of the qualities of ease, flow and grace in your day. I’d love to know which flower essences you use to soften and uplift your energy and which essences of those discussed in this article and audio have spoken to your heart. Please do leave a comment on this blog and share this with me and others. 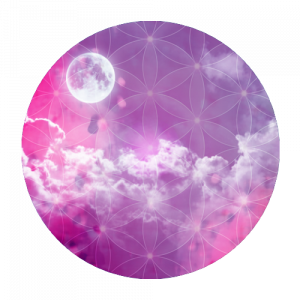 If you’d like to find out more about flower essences and how to use them in your life, why not visit our sister training site which offers different courses in using flower essences and connecting to your own Divine Alignment using the support of nature. You can find out more here.